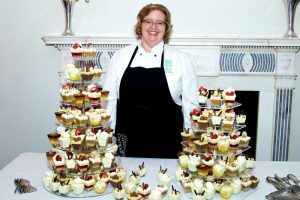 Fiona’s expertise in all areas of catering provision has been naturally harnessed from her ability to work with people and her passion in providing good wholesome, hearty and delicious food. She has grown in her experience to provide an extremely diverse culinary range of dishes from around the world and her curries and use of Asian spices have been served to some of the most discerning palettes! With her fantastic Paella’s having garnered her high praise indeed, this is yet another cuisine that she loves creating. Her afternoon tea scones have graced many tables over the years, not least at weddings in Woburn Abbey. Her use of only the best quality produce available is for her, where it starts, but the finish is in her ability to season the food to bring its finest quality to your taste buds. Their Team includes Fiona’s husband and partner in crime, Paul. Along with looking after all aspects of their Coffee Bar at Sidcup Station, Café Concerto, he looks after all the deliveries, food provisions, Suppliers and sourcing all our wonderful ingredients. He is often found checking out the fabulous stalls at the New Covent Garden Market or indeed the Butchery Provisions at Smithfield Market. He is the resident Sommelier and Personal Licensee who can offer Full Bar Services for any event and has a great nose for wine pairings for any meal. Paul is a driving force for the business and together both him and Fiona are somewhat of a ‘Tour de Force’. Oliver, their eldest son is the resident BBQ Chef and has incurred some fantastic experience behind him cooking all manner of ingredients expertly on the grill. He loves cooking the wonderful Steaks and indeed is a ‘dab’ hand, pardon the pun, cooking our delicious Sea Bass! He has worked extremely hard alongside his Parents and has always been keen to take on new challenges and try new things. Our Corporate & Business Lunch Specialist, Jack Case has worked for Fiona & Paul for nearly 10 years, both as a Barista at nearly all their Coffee Bars and was also our Manager at Fiona’s Pantry until it was sold. 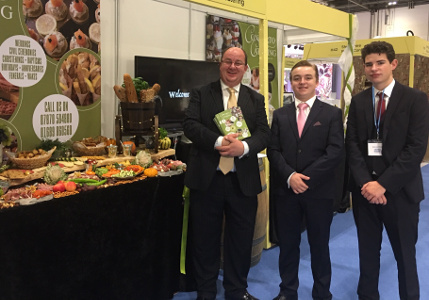 We are delighted to have him join the team of this busy Catering Company to manage and expand all their Corporate Hospitality. Over the years he has grown in confidence and takes pride in his ability to offer the customer a polished service. We are excited to see how this sector of the business will perform with his guidance through 2019. Adam Webb is their fully trained Commis Chef with his formative years being taught at BR6 in Orpington and has now been with the company for nearly 3 years. He is an enthusiastic and hard-working Chef with huge potential. 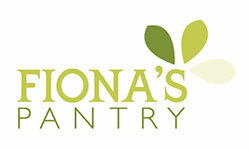 He loves what he does and Fiona is keen for him to build upon his knowledge and works well within the very busy kitchen. His knowledge of their recipes is now extensive and Fiona & Paul have full confidence in his ability to represent them at any function. Our expert team of waiting staff, some who have been with us since they were only 16 and are now well into their 30’s and beyond. They have been trained in all our methods and deliver a professional, polished and friendly service. With parties or events requiring one to thirty staff, we can cater for almost any sized event! We are extremely lucky and have had so many lovely compliments on our service, that we know you can sit back, relax and enjoy being a guest at your own party!